Intense color saturation doesn’t even begin to describe this new hybrid ! 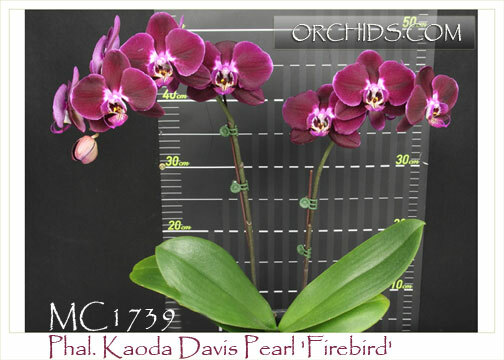 Producing flowers almost 4” in size on gently arching spikes, this clone will produce an even richer color intensity under warmer day and night temperatures, resulting in a smaller central white halo. 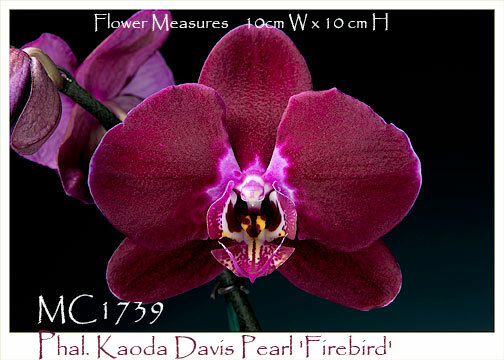 One of the most regal presentations in larger flowered harlequin-influenced Phalaenopsis. Highly Recommended !